After radiation and 12+ months of chemotherapy for breast cancer, I felt disconnected from the world around me. I didn’t laugh. I didn’t cry. I was once known for my smile, but it had long faded. I felt nothing.  Cancer Support Community Arizona helped bring me back to life. I remember my first Gentle Yoga class like it was yesterday. I walked in and didn’t say hello to anyone because I’d lost my ability to socialize. I sat on my mat not knowing what would unfold. Throughout the class the instructor offered modifications to all the poses and she kept telling us to breathe. By the end I realized that for the first time, in a very long time, I felt comfortable. I returned the following week and the week after. Before I knew it, I was a regular student. CSCAZ’s Gentle Yoga helped me reconnect to my body (to feel my body). The breath work helped ground me and I finally started to relax. I had developed neuropathy from my chemo, so the different yoga poses, and their use of hands, wrists and fingers helped to ease the burning sensation and pain I often felt. I was able to hold my loved ones’ hands again, with minimal discomfort, because of these free weekly yoga classes. Because of my positive experience with yoga and the reconnection to my body, I decided to try Drumming from the Heart. From the start, there was something in the music that resonated with me. I liked the beat. I liked the rhythm. It was primal. It was natural. I liked that it was my hands and fingers making sound. It’s my repeated touch that’s composing music. I’m making my drum speak! 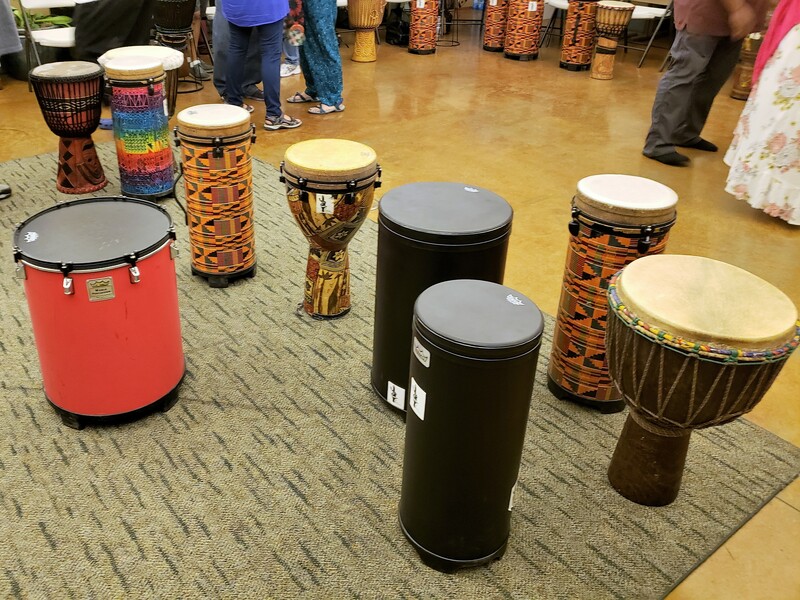 Plus, because the drumming is tactile it was another free class that helped with my neuropathy and most importantly it helped me connect with the other drummers. I’ve always loved dancing and I love good music! I’m someone who likes to ‘push the bar’ because I don’t like staying at the same level. 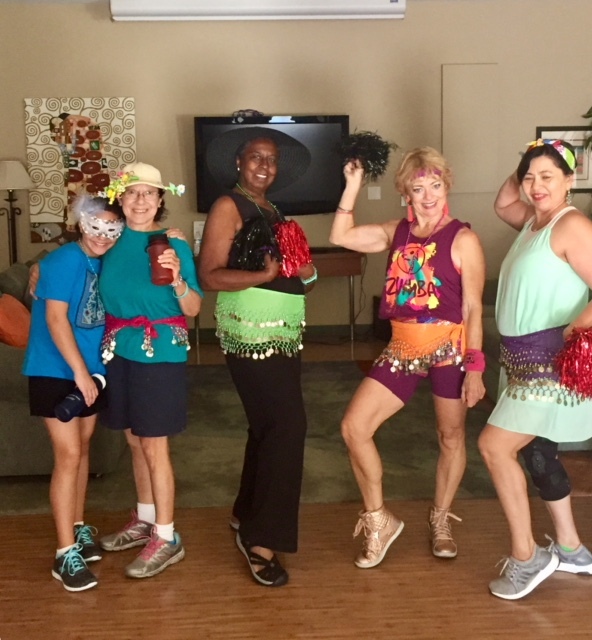 Zumba incorporated my two favorite things and helped me improve my strength, flexibility and endurance. The movement was different from yoga and the music was different from drumming, but the sensations were similar. I loved that Zumba made me sweat. I felt like I was cleansing my body. I liked the different types of music especially the music from other countries. The wide variety of sounds and rhythms exposed me to different cultures and I appreciated the exposure. I especially liked when we partnered-up because it was another opportunity to connect with someone else. The class was so much fun that it’s hard to believe it’s exercise. If you couldn’t already tell, CSCAZ’s Healthy Lifestyle classes have been instrumental to my recovery. I’ve participated in a few of the support groups and attended the community events with my family but for me, the mind-body connection I received from the Healthy Lifestyle pillar hit my heart and my soul. And, above all else, the warmth, love and recognition I receive on campus is glorious. This is my home away from home because I always feel like I’m visiting family. The staff knows my name and they remember what I like. Someone will say, “Rita, I know you like Zumba, so you’d like this other class, too.” I appreciate that they take the time to accommodate me. This community looks out for one another and I feel safe. Plus, I like that my family can participate in programs and see my healing spot. They get to see “my space”. AND, I know that no matter what happens, you and Cancer Support Community Arizona will support me and others who struggle to reconnect! 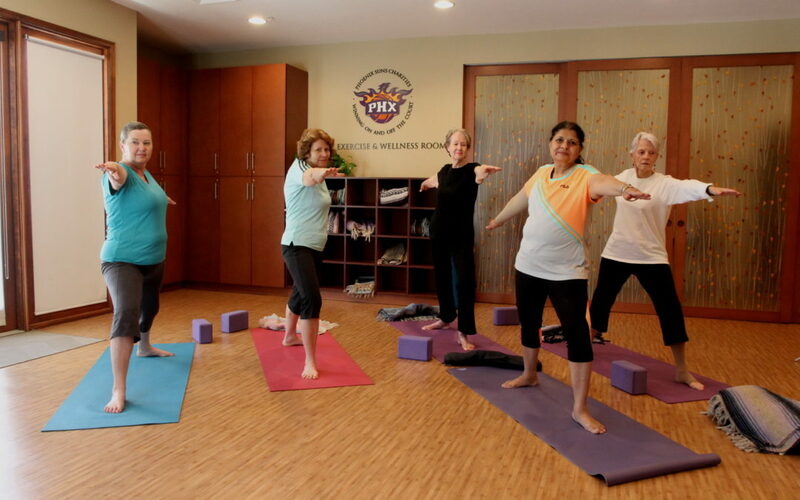 Thank YOU for supporting CSCAZ’s Healthy Lifestyle programs like yoga, drumming and Zumba. Thank YOU for helping me reconnect to my mind, body and spirit. Thank YOU for the privilege of participation and support of CSCAZ.